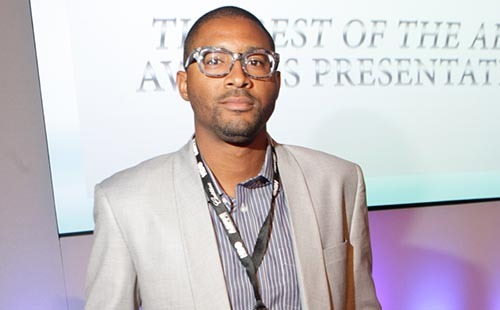 Los Angeles, CA — Director, writer, producer Alton Glass made history at the 18th annual American Black Film Festival (ABFF) held in New York City this June. Glass and his ensemble won awards for his engaging and heartfelt drama, “CRU”, making history by winning all nominated categories. The award-winning film “CRU” tells the story of four high school best friends whose lives are dramatically changed after a near fatal accident, and when they reunite 18 years later they discover a set of past and present secrets that threaten to alter the course of their future. CRU stars Keith Robinson, Richard T. Jones, Harry J. Lennix, Melissa DeSousa, Sammi Rotibi, Antwon Tanner, Alison Eastwood and Jermaine Crawford. Glass was overwhelmed with excitement over the history-making accomplishments. “I’d like to thank Jeff Friday, ABFF team, sponsors, my Mom who is my biggest supporter and film-lovers for supporting me and TeamCRU”, says Director/Writer/Producer Alton Glass while receiving back-to-back honors at the ABFF awards ceremony.